Greens fees: 18 holes with riding cart: Variable, $22 to $38.75 (weekends). Every once in a while, works gets in the way of golf and other life endeavors that really matter. For the better part of the last two months, I was immersed in research for and the writing of a series of stories about Eastlake, Classic Park and the impact of the ballpark midway through its 10th season. I did sneak in some golf during that time, but it was usually a quick nine holes at twilight. Certainly, there wasn't time to hunker down and bang out a new installment of this blog. 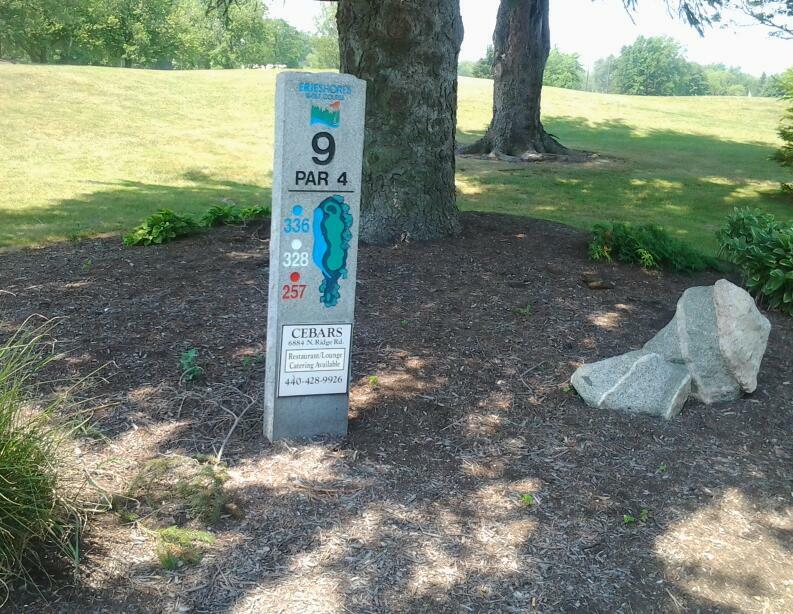 Now that I've got the Eastlake series in the rear-view mirror, let's get back into the "Affordabili-TEES'' groove with raves for Erie Shores Golf Course in Madison Township and Pine Ridge Country Club in Wickliffe. I've always been immensely fond of the two tracks, both owned and operated by Lake Metroparks. They're good golf courses that offer fair tests at extremely reasonable prices. Let me qualify that. 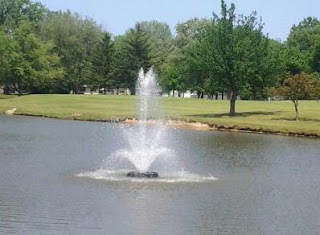 In recent years, I thought Erie Shores was a bargain with a walk-in greens fee of $19.99 for Lake County residents and Pine Ridge was slightly overpriced at $35.50, also for county residents. Tom Weiss, chief of golf services for Lake Metroparks, is a smart operator. This season, he's come up with some enticing specials for Pine Ridge that have given this golfer reason to play there more than he has in recent memory. Having just turned 60 earlier this month, I especially like the $22 weekday greens fee for seniors, students and active-duty military. If you're not yet a senior, the $29.99 greens fee for county residents (Monday, Tuesday, Wednesday, Friday) and $24.99 super special on Thursday are easier to digest than $35. That both courses are in top-notch condition from tee to green adds to the value. I didn't realize it until I pulled the scorecard to write this blog, but neither course quite measures 6,000 yards from the men's tees. Pine Ridge is at 5,914 yards from its back tees, Erie Shores is at 5,980 yards. Erie Shores took a quantum leap forward three years ago when the old first hole, a funky dogleg that bent around the back of the practice range, was replaced by the far superior, 322-yard first hole. I like everything about the hole, from the tee shot over water to the large, push-up green. The par-4, 361-yard fourth and par-3, 182-yard fifth holes are first-rate tests. So is the par-4, 435-yard sixth hole. There is very reason to go bombs away on the picturesque par-4, 310-yard ninth hole. However, miss to the left and you're wet or miss to the right and you're hacking it out of the trees. I've got a love-hate thing going with the dogleg-right, par-4, 311-yard 11th hole. I love the challenge of carving out a tee shot around the corner, but I hate the way I often veer from the plan and find myself scrambling to get back in the hole. On the par-4, 267-yard 17th hole, I always try to drive the green or knock it as close as possible. It's such a cool hole because the pin can get tucked in some tough places and turn short approach shots into real tests of touch and nerve. The wind is almost always a factor par-4, 383-yard 18th hole because of its due-north routing. Golfers who've never played Pine Ridge could look at the scorecard and think they'll have a fairly easy go of it on the front nine. Most of them are disabused of that notion beginning at the par-4 first hole. Playing at 254 yards from the forward white tees and 292 yards from the back tees near the putting green, this hole requires an accurate tee shot into a tree-lined landing area. The short approach shot is one of the most challenging on the course thanks to a foot-high ridge that spans the width of the green near its front. When the pin is cut in front of that ridge, the margin for error is small. Finish above the hole with your approach, and good luck with trying to get down in two putts. The par-4, 358-yard second hole requires length and pinpoint accuracy with the tee shot. 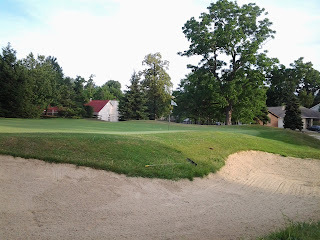 Miss to the left, and you roll over the cart path and into the rough with trees in your line of sight to the green. Miss to the right, and you roll down the hill into trees with virtually no shot at the green. At distances ranging from 75 to 95 yards, depending on tee and pin placements, the par-3 4th hole is one of the best little holes in the area. Hit a good tee ball, maybe you make a 2. Miss long, short or left, and maybe you make 4, 5, 6 or worse. The 435-yard sixth hole is one of the better par-4s in Northeast Ohio. You must go down the left side with the tee shot to have any shot into the well-guarded green. This is the No. 1-handicap hole for good reason. Accuracy and distance control off the tee are the keys to surviving the dogleg-left, par-4, 310-yard ninth hole. Local knowledge is a real plus on the approach shot to a green with a pronounced right-left bias. The best holes on the back nine are the par-4, 412-yard 13th, par-3, 212 yard 17th and par-4, 316-yard 18th. The tee shots on the 17th and 18th are robust challenges. For the money, it's tough to beat Erie Shores and Pine Ridge. Photos, top to bottom: Pine Ridge, 18th green; Erie Shores, 9th hole tee marker and lake.